Tashi begins his journey in Tibet in Book One. In Book Two Tashi and Althea continue their adventures as ambassadors in the southwest United States. In the Third Book, Tashi and Althea’s ambassador assignment take them to yet another part of the world. All three books have been published and are available for purchase now. An adventure story of hope and limitless possibilities. Tashi is unafraid when he first meets the Tall White Beings. With their mesmerizing blue eyes and six fingers, the gentle Beings mirror his mother’s stories about his ancient ancestors. The Beings are a highly evolved spiritual race from another universe, looking for human ambassadors. In this imaginative and spiritual adventure, the Tall White Beings train Tashi and others to become their ambassadors. Although the Beings have been on Earth for millennia, they have lived in the Hidden City, ever since the sinking of the continent of Lemuria. Tashi and the ambassadors are taught to resurrect the peaceful teachings of Lemuria; the Earth’s very existence depends on their success. 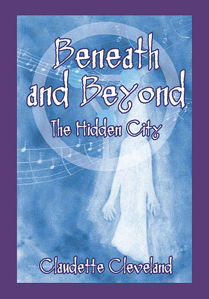 Read the first chapter for free in our Beneath and Beyond – The Hidden City Book Sample (PDF). An uplifting saga of mystery and magic. Murder, abuse and mayhem ravage the Navajo reservation where Tashi, Althea and Morning Star (human ambassadors for aliens from one of the Hidden Cities on Earth) are sent to change the course of self-destruction for the Native Americans. Is black magic the cause of the havoc? Handsome Navajo detective George Trueeyes, who is more than he appears to be, doesn’t think so. This Southwest-flavored adventure is so thought-provoking and enlightening that you won’t be able to put it down. Beneath and Beyond: The Thunderbirds is loaded with surprises and startling twists that pull you in and refuse to let go. Although this book is fiction, it was inspired by the author’s experiences with Native Americans in the Southwest. It is a sequel to Beneath and Beyond: The Hidden City. Can a Karmic Return Influence Your Life Today? As human ambassadors for the tall white beings, Tashi and Althea’s current assignment takes them to Mayan country in Mexico. Petra, a recent ambassador graduate from the Hidden City is overwhelmed with the ignorance and blatant corruption that is taking over in her homeland in the mountains near Mexico City. She needs their help. 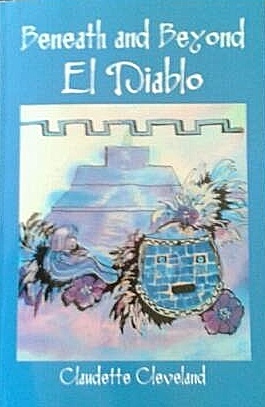 Once there, Althea finds her past life at the ancient ruins of Teotihuacan has come back like a karmic slap in the face. Althea encounters El Diablo, a modern day Robin Hood, who is legendary to the people in the mountain villages for his good and not so good deeds depending on whom you talk to. She discovers that he is also a player in the karmic drama of that ancient lifetime.